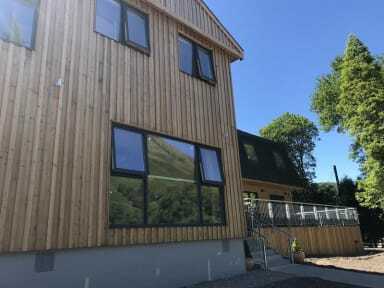 Glen Nevis Youth Hostel, Fort William, Szkocja : Rezerwuj teraz! *All groups will be accommodated in dormitory accommodation. *Arrival time is between 3pm and 8pm. Departure time is 7am to 10am. *Full payment is required 4 weeks (28 days) prior to arrival and otherwise the group will automatically be released. *The hostel requires the group leader to complete the information sheet prior to arrival in full. *A full rooming list is required before arrival. *For youth groups under 21 years of age, the leader will need to be on site with them at all times. *Please advise of your catering requirements at least 72 hours before arrival. *Glen Nevis has two 16 bed dormitories in which we can accommodate a large group. *Catering is available for all groups to include breakfast, packed lunch and dinner. Please advise us in advance. *Full payment is required four weeks (28 days) prior to arrival. *A rooming list is to be sent to the hostel four weeks (28 days) prior to arrival. *Each group will be sent an information sheet requesting details about the lead person and full contact details including mobile number, arrival, departure times for the group, catering requirements and any other special needs that we should be aware of. 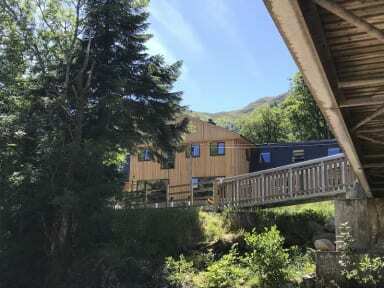 A five star VisitScotland accredited youth hostel, Glen Nevis offers guests hotel-like accommodation with private en-suite rooms and comfortable shared accommodation. Facilities include a contemporary open-plan living space with log-burning stove and panoramic mountain views, free WiFi, secure under-bed storage, USB power sockets and bedside lighting for every bed. There’s also a well-equipped self-catering kitchen, drying room, laundry and secure bike store. The hostel has a ramped access from the car park and two accessible rooms with wet room facilities. Guests can opt for a continental breakfast and a great selection of food and drink is available to purchase throughout the day. After a long day in the hills there’s nothing better than relaxing on the large deck with a local craft beer or glass of wine, savouring the spectacular mountain views. Near the bustling town of Fort William, at the foot of Ben Nevis, the hostel is close to the end of the West Highland Way and within easy reach of the start of the Great Glen Way. It’s perfect for groups, families and individual travellers looking to explore the UK’s Outdoor Capital!